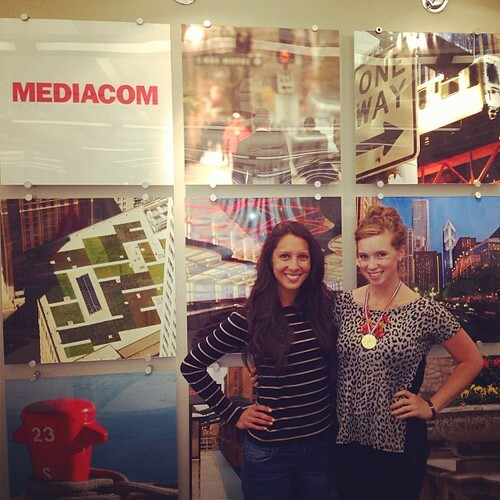 I had the pleasure of working as a digital media planning intern for MediaCom in Chicago last summer. It was a fantastic experience. I learned a lot, met some wonderful people, and got my foot in the advertising world. While I was getting ready to leave, and in the months that have followed, I’ve taken a few steps to make the most of my past internship. People like to know that they’re appreciated, so take the time to tell your co-workers how much you appreciated their time and effort. They spent a lot of their time teaching you the ropes and integrating you into the company. Don’t just say thank you – invest in some thank you cards so they can have something to hold on to and remember you by. Trust me, a thank you goes a long way. This step should happen before you even leave your internship. Try to schedule a review between you and your supervisor(s). Get their feedback on what you did well and what you need to improve on. During your review, ask your supervisor(s) to look over your current resume and ask what they think you should put under your job description. There are a lot of aspects of your internship you might not consider important, but others do, and your supervisor can give you some powerful insight. This would also be the appropriate time to ask for a letter of recommendation. Keep in mind, supervisors and managers are busy people and might not be able to produce a letter of recommendation right away, but ask if they’d be willing to in the future. We’ve all been told time and again how important networking is. This is not a lie! Stay connected to the people you worked with. Take the time to connect with them on social media platforms such as LinkedIn. It’s important to continue to foster the relationships you had with your coworkers. Who knows, if they saw your hard work ethic and great attitude, they might help you find a job! After your internship, it’s important to stay updated on your company and the industry overall. Now that you’ve had a taste of the “real world” you need to stay up to date on what’s going on. Furthermore, when you talk about your internship experience in future interviews it’s important to know what the company has been up to in case the interviewer asks. It’ll show you really cared about your past professional experiences. After you’ve completed your internship take time to reflect on your experiences. What did you learn about the industry? What did you like about the job? What didn’t you like about the job? Will you be pursuing this type of career, or not? Internships are great for finding what you love, but they are equally important for realizing what you don’t. Take the time to really think and reflect on your internship experience. This entry was posted in Success on the Job and tagged internships, Shannon Waisath by SHANNON WAISATH. Bookmark the permalink.